You might think from my insanely late response to this that I don't care about getting blog awards. Well, you'd be wrong! I love them and it makes me smile to think even one person would put me on their list no less more than one. So first off thank you to Journey Chic, Lisa Porter, 3 Duncan Boys, Small and Chic in Cville for including me. 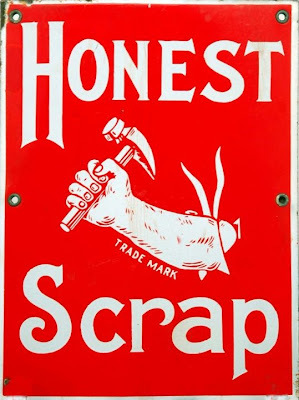 In case you're wondering what the honest scrap award means, I googled it for you. "This award is bestowed upon a fellow blogger whose blog content or design is, in the giver’s opinion, brilliant. This award is about bloggers who post from their heart, who oftentimes put their heart on display as they write from the depths of their soul." Wow, now Im even more flattered than I was a minute ago! Thanks ladies. The rules are: I must brag about the award (check), link back to those who gave it to me (check), share 10 honest things about me and give the award to 7 more bloggers. So here comes the tough part. I feel like you already know everything there is to know about me. I already spilled the beans in series I did earlier this year.  ( If you missed it you can read it here: About Us, More About Us, Even More ) So I really have nothing very worth to reveal but I'll give it a go anyway. 1. I very much miss corny 80's sitcoms like Family Ties and the Facts of Life. How will this generation ever learn life's most important lessons without them being driven home by overly simplistic plot lines, sentimental music and bad acting? 2. Hands down, my favorite season is autumn. 3. As of today, I have 6,958 photos in my Flickr account! 4. I find chickens freaky looking. 6. I've grown to really appreciate tweeting. Feel free to add me to your follow list now. 8. Pretty sure I will never have "enough" crafting supplies. 9. It drives me a little bit crazy when people buy generic Hallmark greeting cards and then don't write anything but their name inside them. The card is the package - put something sweet inside. 10. I truly believe that if you put your heart into something, someone will appreciate it. Not everyone but its enough. And speaking of someone appreciating, here are the 7 blogs I'm nominating. The one benefit of being late is that so many of the blogs I love have already been nominated so I don't feel bad for picking just 7. Because really, this list could easily be 70 without trying hard at all. Have a few hours to kill? Visit these lovely blogs (along with the rest of my must read list at the right there --->) and enjoy. I very much enjoyed your list of ten. I can't wait to check out the other blogs! I love the Twilight books too and was so disappointed by the movie, particularly Kristen Stewart's Bella. Ugh. But you know I'll be there for New Moon regardless! A also love the scene in love actually at the wedding with the suprise big band serenade. You know, I felt the same way about the Twilight movie, but it seriously grew on me... mostly because Robert Pattison gets yummier all the time. I had a crush on him in Harry Potter too though. The acting is terrible! I was especially disappointed in Alice. Hopefully, New Moon will be better....okay, I could go on for hours! I will stop here and say I enjoyed your list and I love your blog! 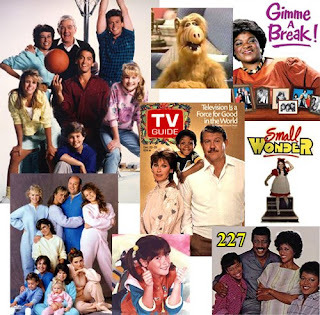 You just made my day by including "Just the Ten of Us", "Punky Brewster" and "Alf" in your post. What is it with crafting supplies?? I feel like I have no room to store the ones I have, yet when I go to do a project I need like 100 more. Damn you Martha Stewart for making such pretty ones! Number one is too funny...enjoyed reading your list! **SMOOCH** Thanks for passing on the torch! Love Actually is one of my favorite movies, and I cry at the wedding when the choir comes in. It's so great that instead of giving a toast, I sang for my maid of honor toast at my sisters wedding. LOVE THAT MOVIE! Thanks again! Keep up the great blogging! Always something new and fun to see here! What a great read. I don't think I've ever seen Love Actually but that intro makes me want to rent it out. Thank you so much for including my blog in your list of 7! Love reading your list! I'm cracking up about how you feel about the movie Twilight! I have a giveaway going on if you're interested. What a great list! I also cry at the beginning (and END) of Love Actually! Can't help but miss Saved by the Bell and the oldies on TV. I had so much fun reading your list! Fun things to know about YOU! Aw thanks for the shout-out, S!! You're the best. I think I love you (did things just get weird in here) b/c honestly, there have been times when I feel sad and depressed and I just put on that airport scene from Love Actually...... silly as it sounds, it restores my faith in humanity. I kid you not. That scene not only makes me weeepy but is SO uplifting! I am SOOOO grateful for naming me on your list of favs. Makes me feel so amazing, and like I might actually be doing something right. I so very much appreciate it, especially coming from a blogger whom I admire so. When I have time tomorrow I'll check out the blogs you recommended. As for 80's TV shows, one of my favorites was Magnum PI with delicious looking Tom Selleck. It may not be family fare, but they had their own sort of family in friendship. Congrats on the reward. It's well deserved. I'm on the LOVE ACTUALLY bandwagon too! Makes me tear up every time. Actually, there are several points in the movie that get me, but the opening is just the best. I watch that movie every year when I'm putting up our Christmas tree. I loved your list. Family Ties and Michael J Fox- what great memories! Visiting your blog for the first time today- Love it! Thanks so much for nominating my blog! I am honored that you consider me worthy! I LOVED getting to know more about you! Congratulations! I loved the Twilight books too, and I agree the books are better than the movie. I'm debating whether I want to go see New Moon when it comes out.